Home » Home Care Blog » What is Home Care? This question “what is home care?” seems so simple it may strike the average reader as an academic distinction. The truth of the matter is, when we get into the specifics, home care can be multiple types of services. Understanding what the differences are and why they exist empowers families to better shop for providers and to make the right choices for themselves. Not knowing how to compare and contrast options leaves families vulnerable to ending up in situations that are not a good fit. For instance, a family that needs errands run for a senior could easily call three agencies, get “no’s,” and conclude falsely that an assisted living facility is the only available option. Another common occurrence is patients risking their lives by refusing prescriptions for medical home health. About 30% of people prescribed medical home health by a doctor refuse the service even though Medicare pays 100%. Experts suspect home health refusals have a lot to do with a misunderstanding of what these services are. Many businesses will claim the label “home care” even though these businesses can be very different from one another. Generally speaking, home care is a business that sends clinicians, helpers, equipment, or supplies to the homes of clients to provide services that are at least in part health-related. 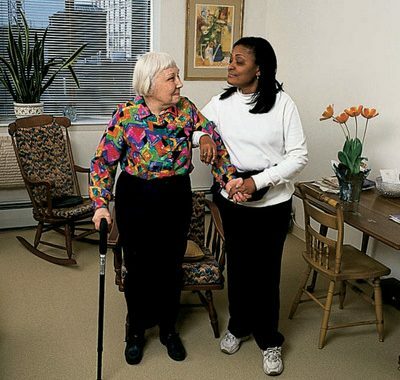 State and federal governments define what different agencies may and may not do, and this leaves us with a long list of provider types under the umbrella term home care. Most commonly, the businesses claiming the label “home care” function as either home health, non-medical home care, home hospice, or some combination of the three. Other businesses that may label themselves as home care or that may be grouped as such in the phone book include home pharmacy service, home medical equipment, and even visiting physician companies. The requirement of being partially medically related excludes services such as lawnmowing or vitamin providers that ship to the home. How Can You Find the Best Home Care Provider for You? With so many different types of companies categorized under one, broad label, it can be difficult to shop for the best local provider or even know what vital services are available. The best way to navigate through the noise is for people at a higher risk of needing home care to educate themselves early. The consumers most in need of this preparation are anyone age 65 and older, anyone with a disability, and anyone caring for an elderly person. These groups need to research provider types and learn the nuanced terminology of the industry ahead of time. 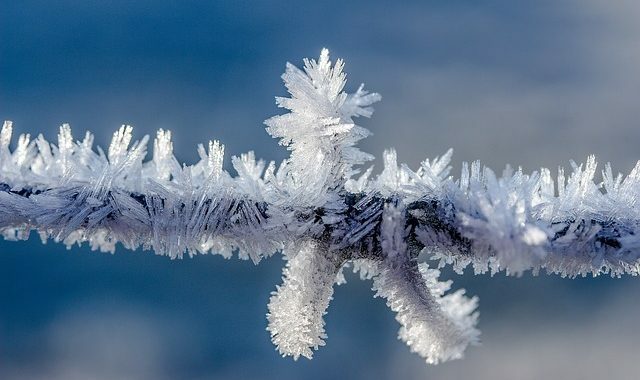 This way, they will know how to ask the questions that cut right to the center of the issue and how to recognize agencies that will or won’t fit their needs. Is There a Difference Between Home Care and Home Health? Yes and no. The home care and home health industry has been trying to promote a distinction between the two terms. The movement is to make home health the label for at-home medical services from nurses and therapists and to make home care the label for non-medical or custodial services from aides and assistants. This distinction is a good strategy, because the Code of Federal Regulations specifically defines home health as a medical service employing at least two of the following disciplines: nurses, home health aides, physical therapists, occupational therapists, speech therapists, or medical social workers. In practice, the distinction gets fuzzier. Some states (Florida in particular) license non-medical home care agencies with the term “home health.” So, state definitions don’t necessarily play along, and some agencies licensed as “home health” are actually providing non-medical care even though they do not meet the federal law’s definition of home health. Furthermore, agencies with home care in their company names often provide medical home health. In short, professionals tend to define “home health” as nursing and therapy and “home care” as aides and homemakers, but consumers cannot rely on the terms to mean anything when they see them. They must dig a little deeper than the marketing language provided by agency brochures and websites. Medicare-Certified Home Health: Defined as an agency providing at-home medical care, usually from both nurses and physical therapists. For qualified patients, traditional Medicare will pay 100% of allowable charges. The medical care provided should be on-par with many of the services a patient could otherwise receive from a nursing home or rehab facility. Medical Home Health: The agency holds a state license, or other authority, to provide medical treatments such as injections or exercise therapy. The term, however, does not specify what payors the agency works with. Medicaid Personal Care: Includes custodial care at home paid up to 100% by state Medicaid programs. The agency will send personal care aides to the homes of clients to help with health-related issues such as cleaning, meal preparation, medication reminders, etc. This provider type will be excluded by law from providing medical treatments or even from taking pills out of their bottles in most states. However, some providers operate under multiple licenses, and may be able to provide both medical home health and personal care as needed. Personal Care: Custodial care as above but does not specify if the agency works with Medicaid for payment. Many of these agencies operate on a strictly private-pay basis. Companion Care: An agency that is not licensed to provide hands-on personal care. While a companion may help a client with bathing by handing the client a towel, moving a shower curtain, and helping with knobs, the companion may not legally take the client by the elbow or offer his/her own person for stability or it would be considered hands-on care. A companion would be able to remind a client to use moisturizer and bring the bottle to the client but would not be allowed to apply the moisturizer in hard-to-reach places. Companion care agencies accomplish more than most people would think, but the distinction between hands-on personal care and hands-off personal care definitely merits consideration in home care planning. Private Duty: This refers to a method of payment more than a scope of practice. It means the client pays the agency directly rather than relying on third-party payors such as private insurance, Medicare, or Medicaid. The important reason to know this term is it means many restrictions placed by institutions (state, federal, or insurance) are lifted. Restrictions on individual professionals remain. For instance, a private duty aide still may not check blood sugar on a client in most states, because working with blood is not in an aide’s legal scope of practice as an individual professional. Conversely, payors such as Medicare, Medicaid, and long-term care insurance place restrictions on service plans that go beyond professional scope of practice limitations. Restrictions like these are lifted in private duty nursing and private duty home care. A great example is: Medicare does not pay for long-term care, but a private duty nurse can come every week to set up pill boxes for years. Medicaid personal care often will not pay for service if the client is not present when the aide is working, which will exclude extensive running errands for the client. A private duty aide, on the other hand, is free to run errands, do shopping, etc. according to each agency’s protocols. When considering what home care services will keep a person safe, comfortable, and happy, bear in mind the distinctions just described. When interviewing different providers who may have the service you need, try to use the terms above. 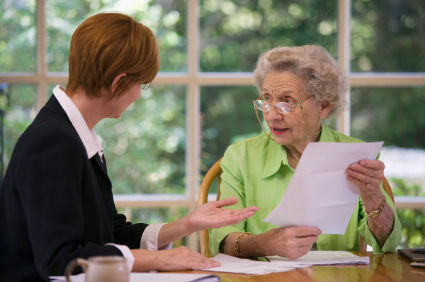 Terms such as “home health” and “home care” refer to a wide range of providers. Broader terms help start searches for services while the more specific categories help consumers pin down exactly what they or their family members need. 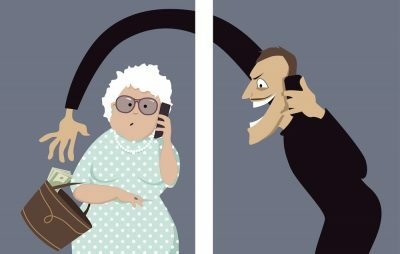 Are You Protecting Yourself or Your Loved Ones From Elderly Scams? previous post: Does Medicare Pay for Home Care?